We had an amazing week all week long! I hope your week knocked your socks off as well. Last weekend we celebrated Michael’s 9th birthday. We went laser tagging and then had a little party at the house. It was a really fun day. Every year for their birthday I make a weird snack to decorate the table and contribute to the festivities. Plus, since I’m a mom of boys, weird things replace the cutesy things that a girl mom might deliver. Last year I made gummy worms in dirt and this year I made smiles. 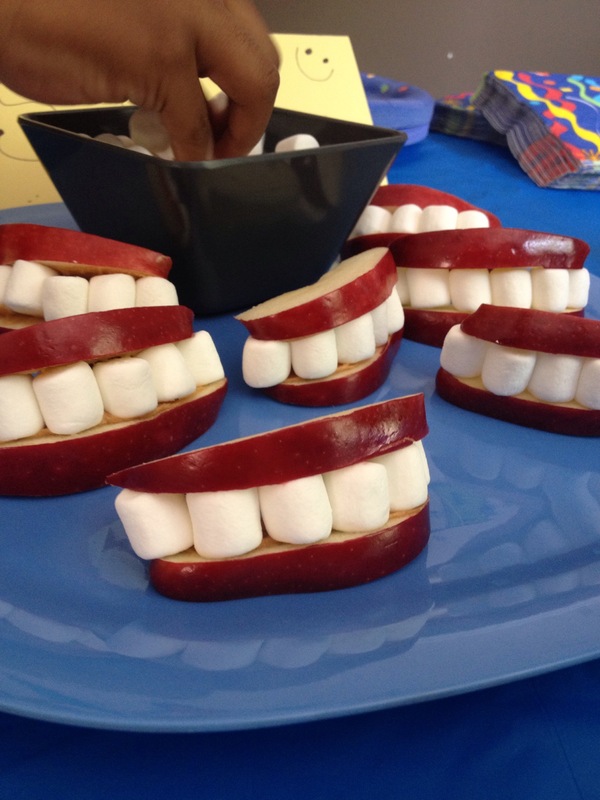 Weird little snacks made of apples, peanut butter and marshmallows. It was pretty fun and they tasted like caramel candy apples with peanuts! Yum! ( but still weird). Look for a pic at the end. Monday was a holiday so scratch that. 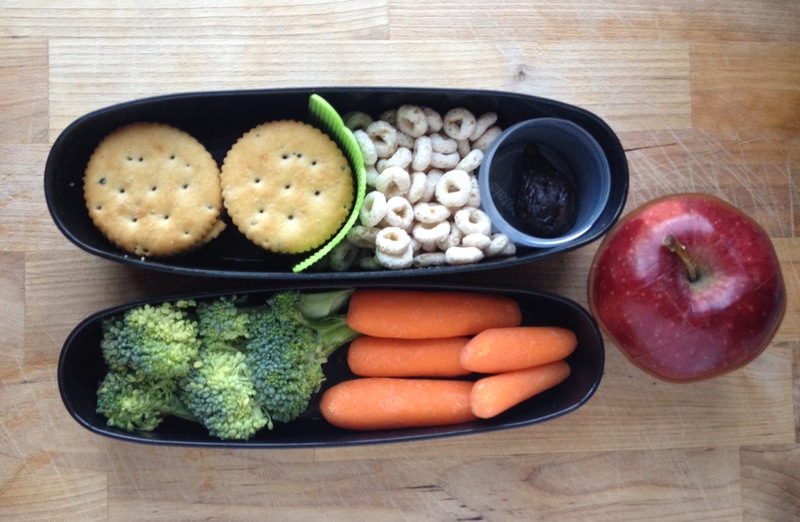 Tuesday: Nutella on bacon flavored ritz, Cheerios, a dried fig, broccoli and carrots with humus. 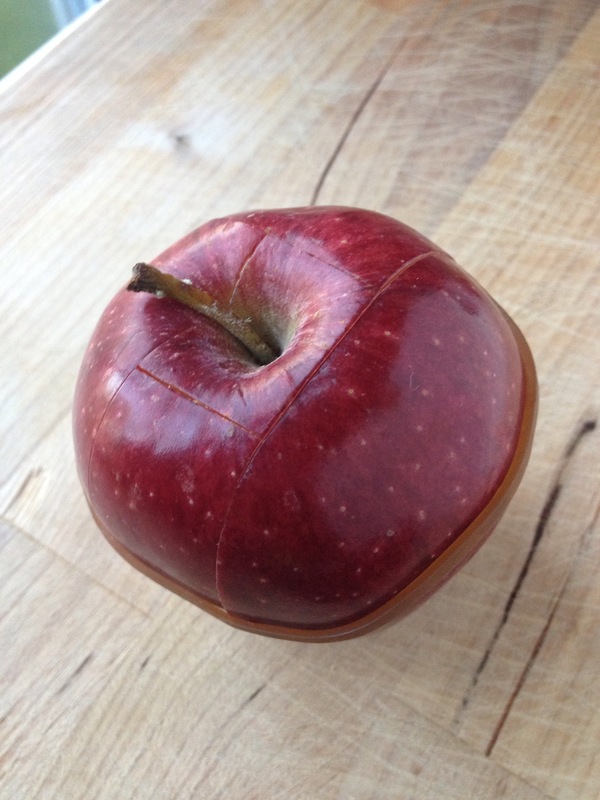 I also sent an apple cut and secured with a rubber band so it wouldn’t brown. Here is a previous post on how to do this. And here’s a little diagram you can screen shot and save til you need it! Just cut following the letters and viola! 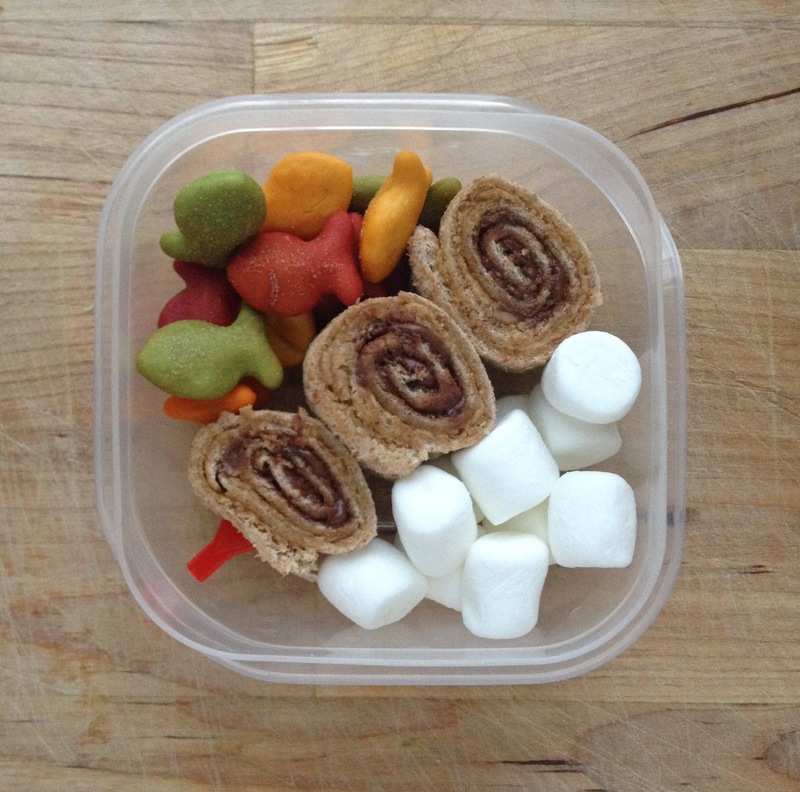 Wednesday: I made Reese’s cup “sushi” rolls, mini marshmallows, goldfish, peanuts, broccoli and carrots with humus. 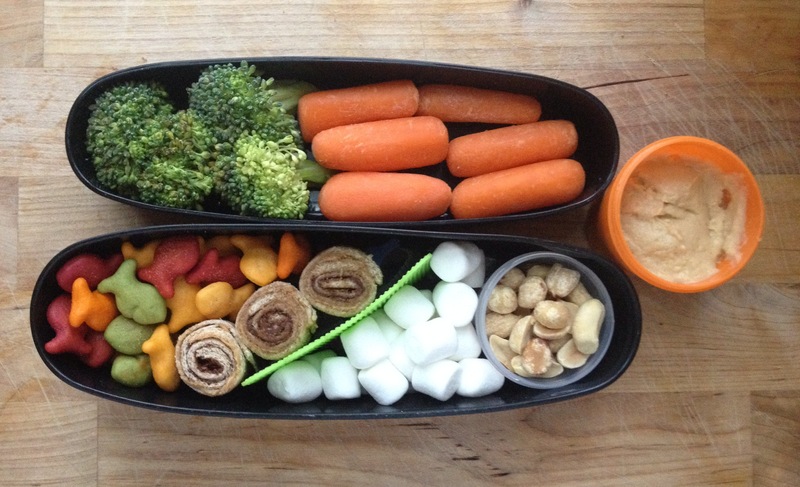 The 5th grader asked for a mini bento because he loves the “sushi” rolls. I happily obliged. 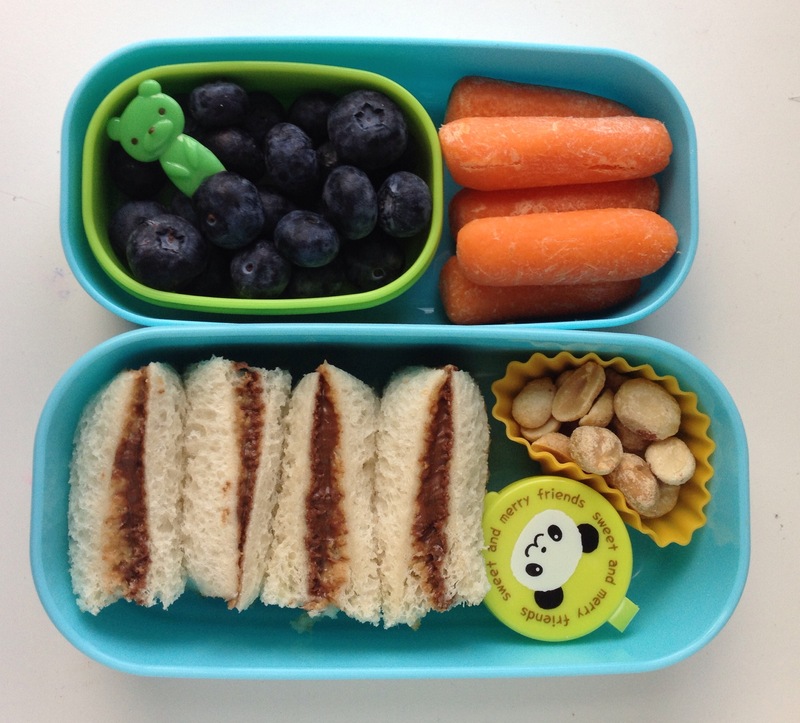 Thursday: Nutella mini sandwiches, peanuts, blue berries and carrots with humus. Packed in a brand new bento that arrived this week. I’m going to do a review of the haul once we’ve broken in the items. It’s gonna be fun! 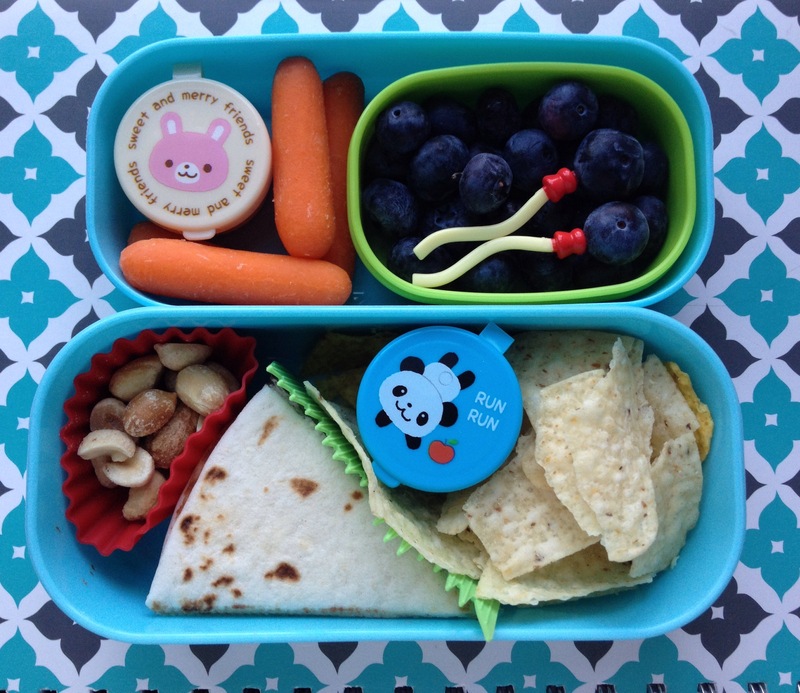 Friday: Tortillas and salsa, Nutella quesadillas, peanuts, blue berries with balloon string picks, carrots and humus. It could not be simpler. 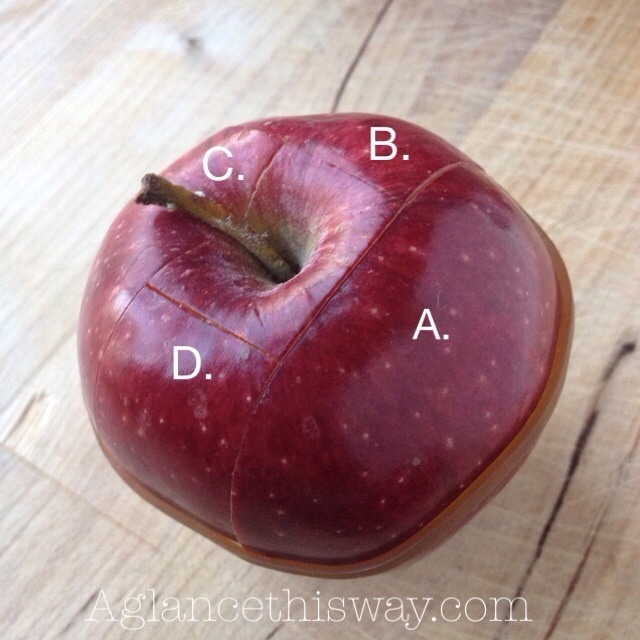 Cut your apples into slices. Tip: make them thin. Big old goofy slices make the smiles look goofy…or goofier, I guess I should say. Soak em in lemon juice and water so they don’t brown, add a tiny bit of peanut butter (as glue for the marshmallows, think “nearly undetectable”) stick the marshmallows on. Tip: start with the two middle “teeth” centered on the slice. If there’s one marshmallow slapped directly in the middle the smile will look strange. Next a little peanut butter on the top slice. Rest it into of the slices and bam! Weird little apple smiles. 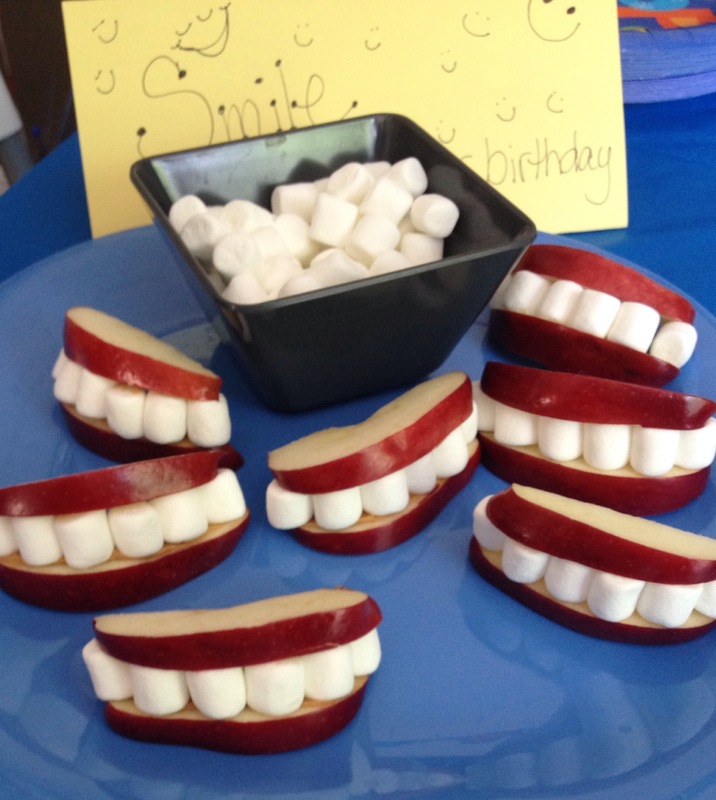 I made a card that read “SMILE…it’s your birthday!” And supplied extra “teeth” for snacking. Alrighty guys. Have a great weekend! Previous Post How To Turn Regular Rice Into Amazing-Amazingness.